Is data analytics the future of financial crime prevention? 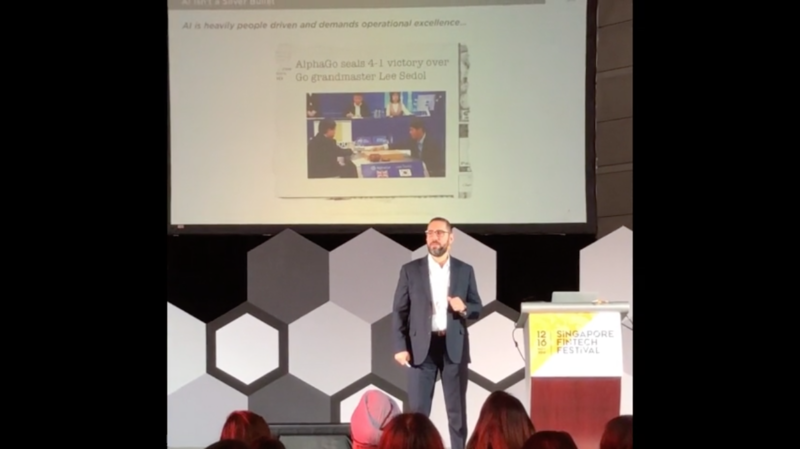 Watch the replay from Singapore FinTech Festival's mainstage to understand how data analytics solutions can effectively manage scalability, detect and prevent financial crime. DBS Group Head of Compliance Chee Kin Lam emphasised that by being the 'good guys' - banks, governments, regulators, and technology partners work together to tackle financial crime. But how do financial institutions get the help they need? Artificial Intelligence (AI) exists mainly to replicate human intelligence. Although AI cannot compare to an actual human brain just yet, it can be used to achieve operational excellence, supporting the four key foundations of AI: feature creation, transformation, classification, and monitoring. Hear Brandon Daniels explain how to manage the design, deployment, and testing of AI in financial crime compliance under the existing regulatory and model risk regime - on the Sandbox Stage. "Investment in artificial intelligence, understanding that people are a necessary component, and understanding that the data and the features that you need in order to make a decision, are all part of a puzzle that then can scale to billions of decisions." As a proud event sponsor, Exiger was excited to be a part of the 2018 Singapore FinTech Festival alongside 30,000 global attendees which included industry leaders, innovators, and regulators helping to create a dynamic FinTech and RegTech ecosystem worldwide - through the combination of expertise and disruptive technology. This Anti-Money Laundering (AML) and Countering the Financing of Terrorism (CFT) Industry Partnership (ACIP) paper provides best practices on the use of data analytics for AML/CFT purposes. > Read the ACIP paper here. Want to know how to streamline KYC processes with AI & RegTech? Dean is a Vice President and Head of Business Development for the Asia Pacific based in Exiger’s Hong Kong office.